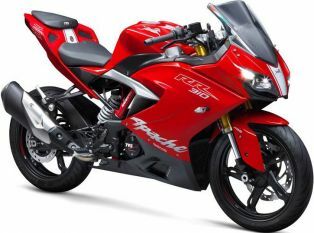 TVS Apache RR 310 has become flagship motorcycle from the house of TVS Motor Company. The bike is built in technical collaboration with BMW Motorad. Equipped with 310cc liquid cooled, Reverse Inclined single cylinder Engine, the new Apache is featured with ABS as standard fitment. 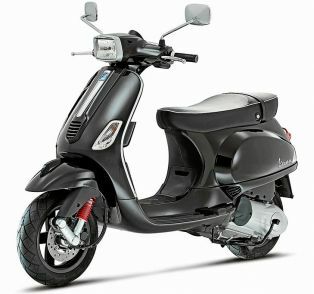 The dual channel ABS is also equipped with RLP (Rear Wheel Lift-off Protection). 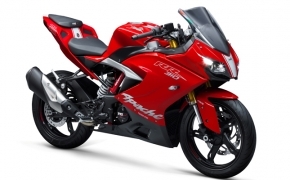 Extensively tested under Wind tunnel the Apache RR 310 is capable to achieve more than 160 Kmph of Top Speed. The bike is claimed to touch 0-60 kmph in less than 3 sec making it fastest among the competitors. 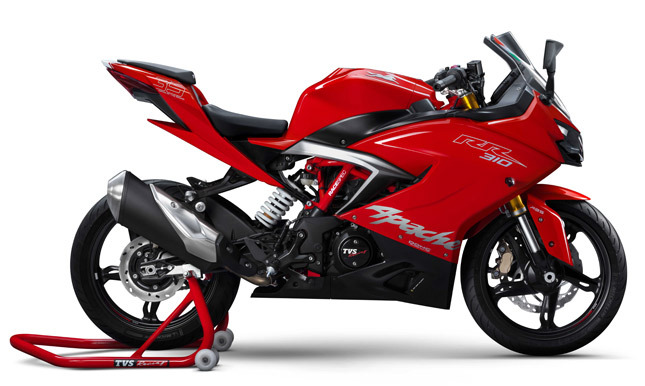 TVS Motor India launched their much awaited and hyped sport bike, the Apache RR 310. 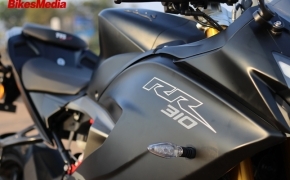 The RR 310 is the first bike launched born in collaboration of BMW and TVS in India. The motorcycle uses the engine and chassis technology from BMW along with some indigenous products by TVS. 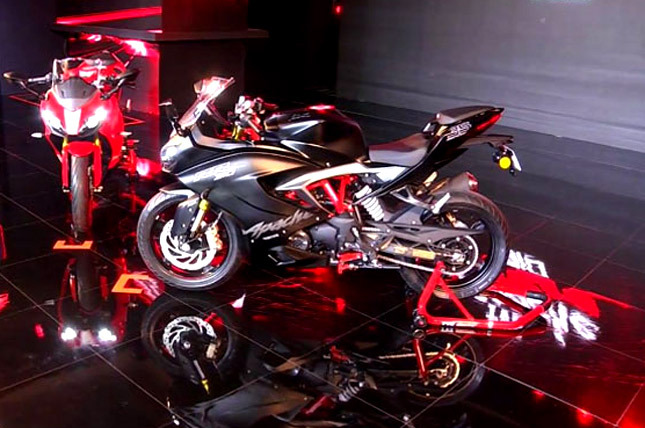 The bike retains most of the form factor from the concept Akula showcased at Delhi Auto Expo. 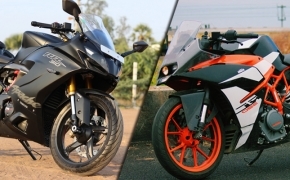 Here's a quick overview of the newest sport bike from the Indian manufacturers stable. Looks and Design: As far as looks are concerned, the Apache RR 310 scores full marks and can be named as the best looking motorcycle by far which is designed and produced in India. It is inevitable that the engineers at TVS has given so much attention to detail, and every part goes well with the overall design of the motorcycle. The motorcycle is sharp with chiseled lines running all over the fairings and tank. The bike also gets aggressive front design which TVS claims to be a result of great aerodynamic testing. The riding stance is aggressive while the overall design is neatly done throughout. Apache and RR 310 logos are also present on the either sides, while there is a large 35 in the tail section, which marks a special event for TVS - The 35th year for TVS in racing. Engine and Performance: The RR 310 gets a 312.2cc liquid cooled DOHC reverse inclined single cylinder engine which churns out a good 34 PS at 9,700 RPM and 27.3 Nm of torque at 7,700 RPM respectively. The engine is very similar to the one that BMW uses for its BMW 310 R and 310 GS. The reverse inclination gives an advantage to the engineers at TVS to have the wheelbase short while still having a longer swingarm for better handling around the corners. The bike has a standard six speed transmission while the clutch is a conventional wet multiplate unit. 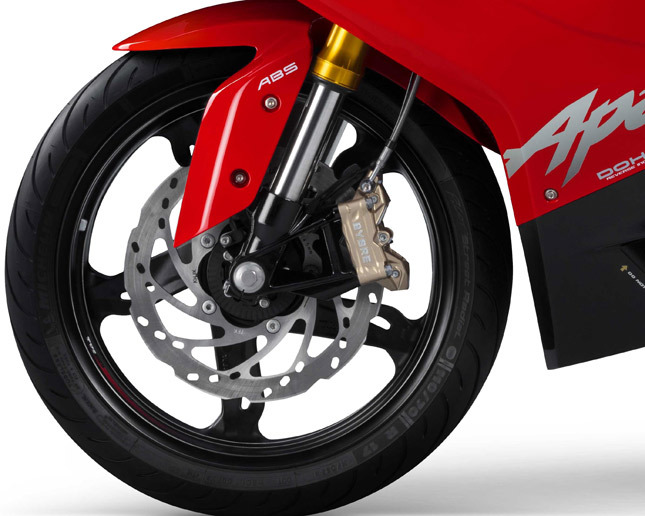 The motorcycle misses out a slip and assist clutch, a feature that comes as standard in all of its rivals. The motorcycle is fueled by Electronic closed loop fuel injection system developed by Bosch, while there is no ride by wire throttle system. Officially claimed top speed is said to be around 160 kmph, but we're sure the bike could do a bit more. Brakes, Chassis and Suspension: The Apache RR 310 features a steel trellis frame and a super light aluminum swingarm which were developed using all the experience gained through competitive racing. The motorcycle is suspended by KYB telescopic USD forks up front while the rear end gets a mono tube floating piston gas assisted shock absorber from KYB. Braking duties are carried out by a single 300mm petal disc with radially mounted Brembo calipers at the front and a 240mm single petal disc. The bike gets dual channel ABS as a part of standard equipment. The speedometer console is a digital unit with horizontal RPM indicator along with a speedometer, odometer and trip meters. It also gets a lap time recorder and a top speed recorder in the console. The wheels get tyres of 110/70 R17 and 150/60 R17 profiles respectively. Starting with the Engine, It is a 313 cc, 4 stroke, 4 valve, single cylinder liquid cooled and for the first time in India, it is reverse inclined in its position. Meaning the air intake are at the front and the cylinder is leaned backwards. 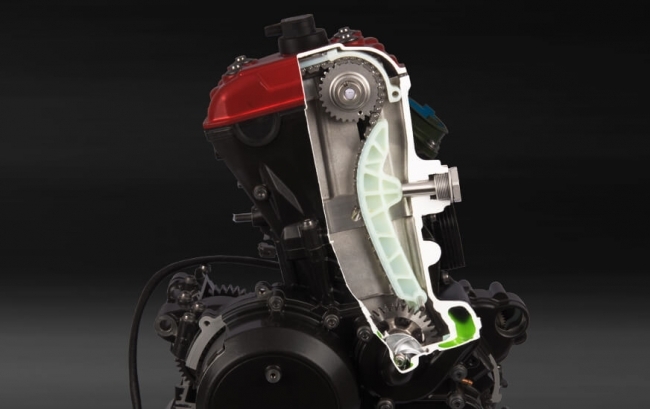 This will allow more air to be breathed into the engine for better combustion, which is further optimized by a closed loop Electronic fuel injection system. It is mated to the first ever 6 speed gearbox on an Apache. It produces 34 PS of power at 9700 RPM and 27.3 Nm of torque at 7700 RPM. The bike sits on a Trellis frame same as the one found on BMW but obviously, it’s not the same, just like a good super-sport motorcycle it is forward biased, for better feedback from the front wheel, which will result in better handling. The front suspension is inverted cartridge telescopic fork and the rear is a Mono-tube floating piston gas assisted KYB shock absorber. This Apache stands quite tall with a bike height of 1135 mm and a seat height of 810 mm. Ground clearance is 180 mm which is really good. The length of the bike is 2001 mm and the wheelbase is 1365 mm. TVS has tried to make the width of the bike as less as possible, this is the only reason why even the instrument cluster is taller than it is wide. The inspiration behind the design of the bike is through a process known as Bio-mimicry, in that process, the biological life-form are analyzed for efficient design processes. In this process it was a shark which was chosen as an inspiration, which is evident from its patented cowl design; which deflects the hot air coming from the engine and from the front the air is taken in through them and deflected for precise aerodynamic features. Fuel tank capacity is in the KTM range. With an 11-litre fuel tank and 30 km/litre of mileage claimed by the company, it’d be a bit difficult to take this bike out for some long without stopping for various stops. Dual Channel ABS is present and acts on a 300 mm disc at the front and 240 mm disc at the back; the brake fluid is DOT 4. Wheels are 17 inches and Rubber is of Michelin and tyre size is 150/60 at the rear and 110/70 at the front. Fuel range, Mileage display, live mileage, gear shift indicator, Top speed recorder, lap time recorder, and the usual odometer, tachometer, trip meter and fuel gauge. Weight seems to be the only clear downside to this bike as its 169 kg dry. To put things in perspective the RC 390 weighs 153 kg wet. The bike will do 0-60 Km/hr in 2.9 seconds and 0-100 km/hr in 7.17 seconds. Top speed claimed by the company is 160 km/hr but surely it will do more than that easily. 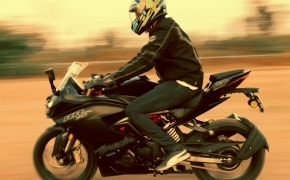 Motorcycle manufacturers deliberately choose a low top speed for their vehicles as they want that top speed to be attainable under every circumstance. The bike is priced at Rs 2.05 Lakh ex-showroom and is available in 2 colours Red with white stripes and matte black at the dealerships.